I have seen this dessert place in passing every time I go to Banawe, Quezon City. It got me all curious since they serve unlimited desserts for only P199. So one free Friday, Chatti and I decided to dropby and check out the place. 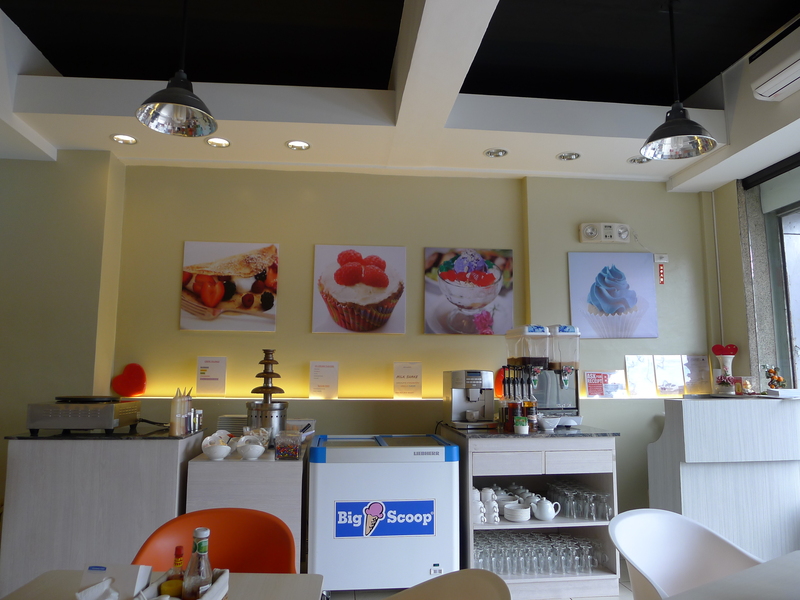 Love Desserts offers ice cream, halo-halo, fruits, crepes, smoothies, milk tea, coffee, cakes, pastries, chocolate and more. 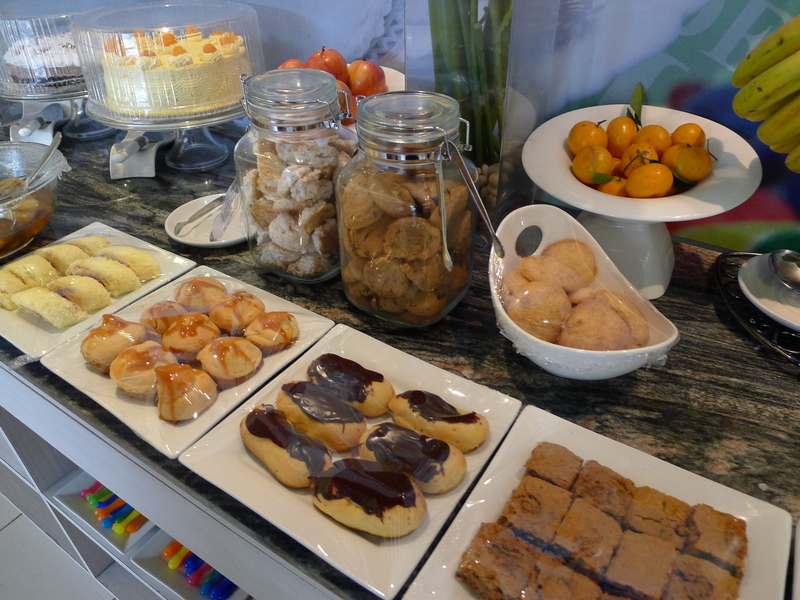 They also serve ala carte food and sandwiches. 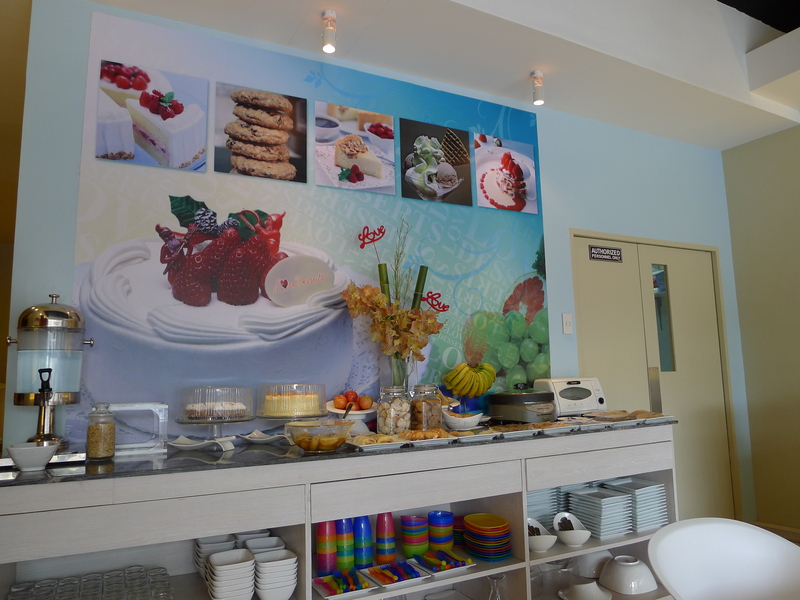 You can choose to either avail the eat all you can dessert or order ala carte. Chatti and I chose the former so at least we can try everything we like. We went there around 2pm. The place is almost empty as we we’re the second set of customers who arrived. The cakes & pastries we’re still sealed so we we’re really delighted that we get to open everything! I did not try a lot since I’m not into sweets anyway, but note worthy for me are the milk tea and sylvanas. I’m a fan of milk tea…so having unlimited milk tea is just heaven! I wouldn’t say that the taste is exceptional, but it’s not bad either (and again, it’s unlimited). As for the sylvanas, the taste is more buttery compared to others that I have tasted before. I like it. Chatti ate the eclairs and cream puff. She told me that it’s a bit dry because the filings are nominal. The ice cream they use is Big Scoop, and they serve six different flavors. They also have a chocolate fondue and made to order crepe. As for the crepe, you can choose your own fillings and toppings. Around, 4pm onwards, the place starts to fill. Love Desserts was packed with professionals (in a meeting), students, family with their kids, and group of friends. 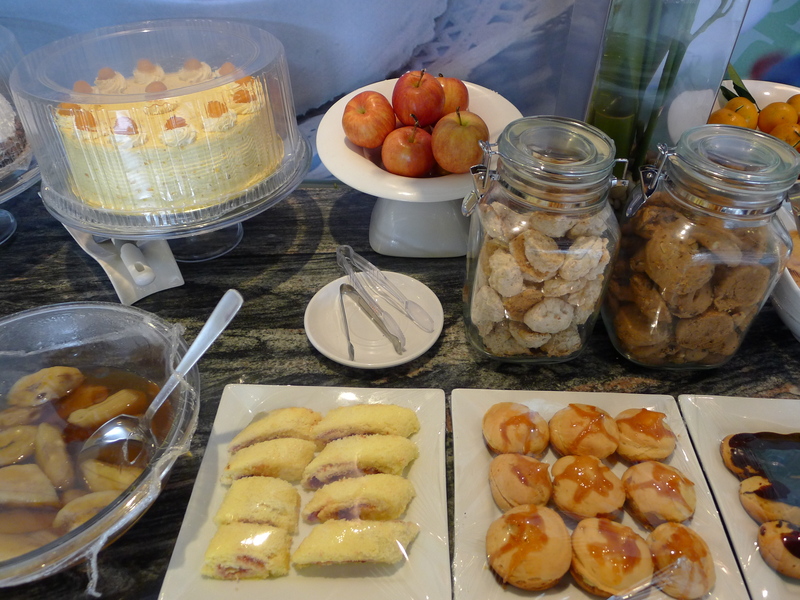 In our stay there, Chatti and I agreed that the place is a good place to chill especially when you’re in the mood for sweets. The price is reasonable and the choices was fair enough. do you have sugar free desserts especially made for diabetics? The only sugar-free dessert I saw was the ice cream. I’m not sure if they have sugar-free cakes as well. sure! I will bring you there if ever you’re in my area. From SM San Lazaro, the simplest way to go there is by taxi. There is no direct route by jeepney. Taxi fare won’t cost more than P100 since the place is relatively near. Just tell the driver “Banawe corner Roxas.” The place is easy to find. From Qc, how can I go there?